Now available in paperback: Filmmaker Nick Polizzi, creator of the hit documentary The Sacred Science and highly popular website of the same name, takes readers on a spiritual adventure in the native outback of South, Central, and North America to access sacred knowledge the world has all but forgotten. In 2010, Nick Polizzi did something unimaginable. He assembled a group of eight desperately ill patients from around the world and brought them into the heart of the Amazon rainforest to put the mysterious medicines of native shamans to the test. The healing journey that unfolded would change their lives--and his own--forever. 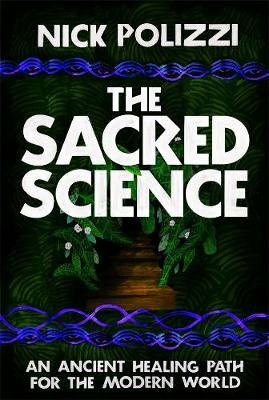 In The Sacred Science, now available for the first time in paperback, we join Nick as he explores these primordial traditions and learns firsthand what it takes to truly heal ourselves of physical disease, emotional trauma, and the sense of "lostness" that so many of us feel in these modern times. We venture into a place where the ordinary rules we live by, even survival instincts, don't apply--where "the only thing to do is to step forward and be ready for anything." Nick is not a guru or shaman; he is an ordinary guy who pieced together an illuminating journey, one experience at a time. In this riveting true story, we're shown the many layers that must be peeled away in order for us to find the truth of who we are and why we're here. This book is a bridge between the flashy, fast-moving modern world and the forgotten ways of a healthier, earth-connected ancestral past. You'll find practices and principles of native wisdom that you can put to use in your own life, and you'll gain a new understanding of what it means to heal. In the end, what will become of the eight patients who set out on this path with Nick? Will the exotic jungle medicines and harrowing rites of passage destroy them or give them a new lease on life? Five will return with remarkable healing results. Two will return disappointed. One won't return at all.